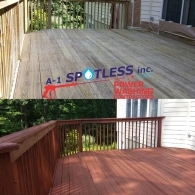 Power Wash Deck Cleaning Staining NJ Middlesex Somerset Union - A-1 Spotless Inc. 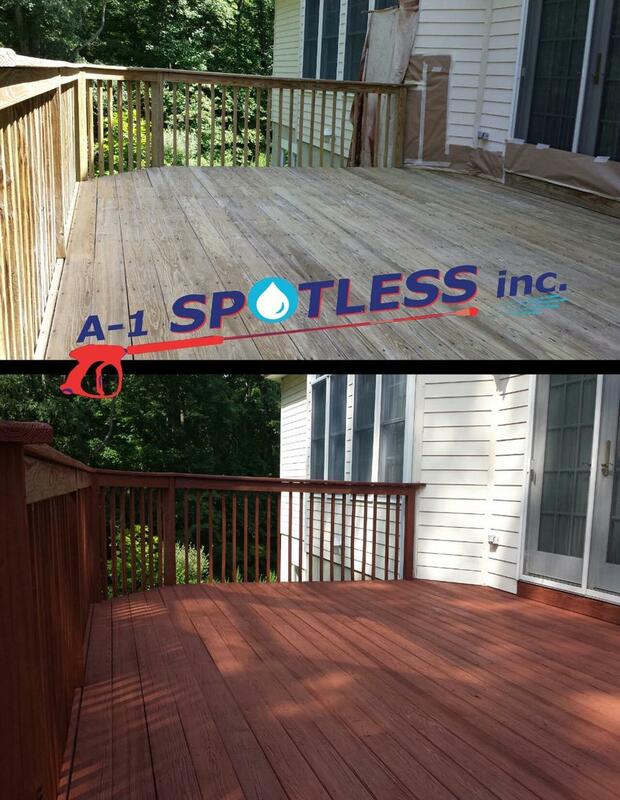 Does your deck look dull and dingy? Weathering will occur over time as dirt, dust, insects, mildew, algae, and other organic staining occurs naturally with use and exposure to the elements. 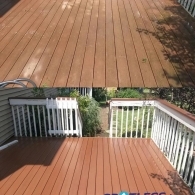 Fortunately deck cleaning is possible to restore its appearance and help preserve it. 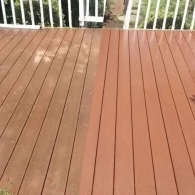 Many homeowners have learned the hard way that power washing wood deck or composite deck can have unexpected consequences. 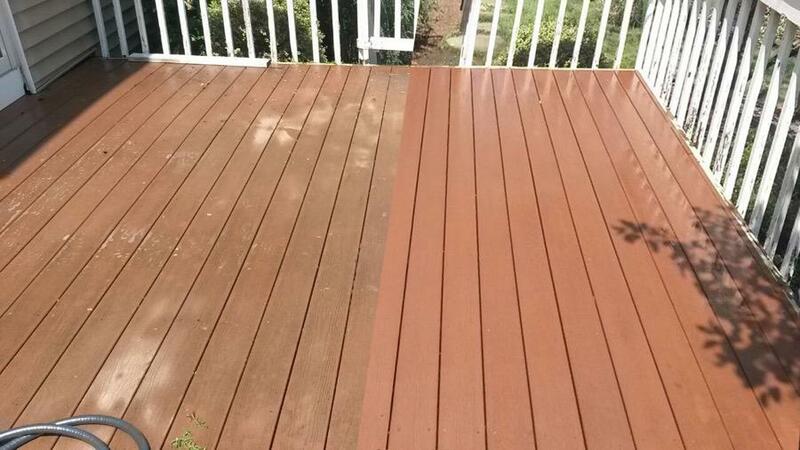 It’s easy to cause splintering, uneven/discolored appearance and even unintentionally speed up deterioration. 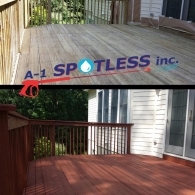 A-1 Spotless Inc. are experts at deck cleaning and have served customers throughout New Jersey and the Tri-State area. Since 1989, homeowners like you have trusted our team of professionals to maintain their properties. 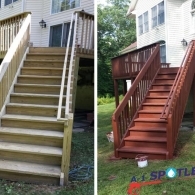 Using the right cleaning methods and techniques, we can safely clean wood and composite decks, prepare them for staining, and preserve their appearance and integrity. We are reliable, we have professional equipment, and we’ll take the utmost care of your home and property. 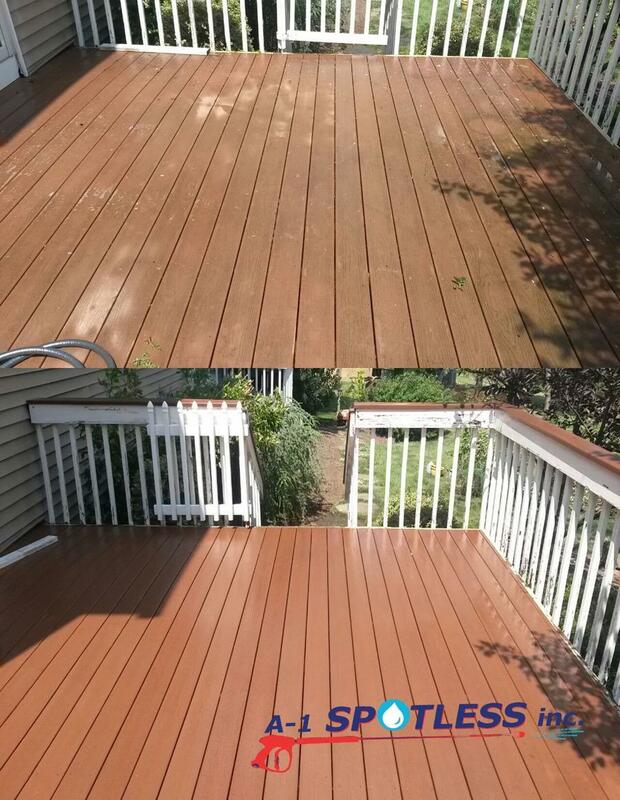 Leave the messy task of deck cleaning to the professionals. Our team is trained and experienced and we’ll keep the job site clean. 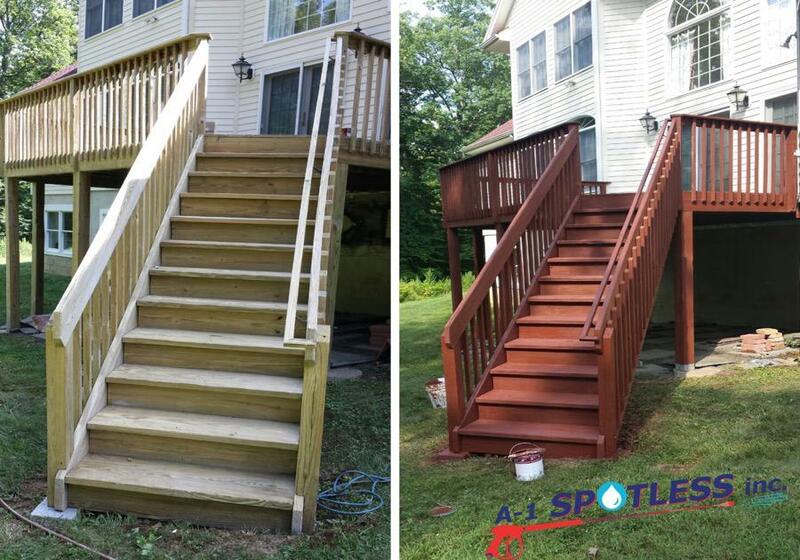 We’re fully licensed and insured, and commit to doing the job right within the agreed timeframe so you can get back to enjoy grilling and entertaining on your deck. 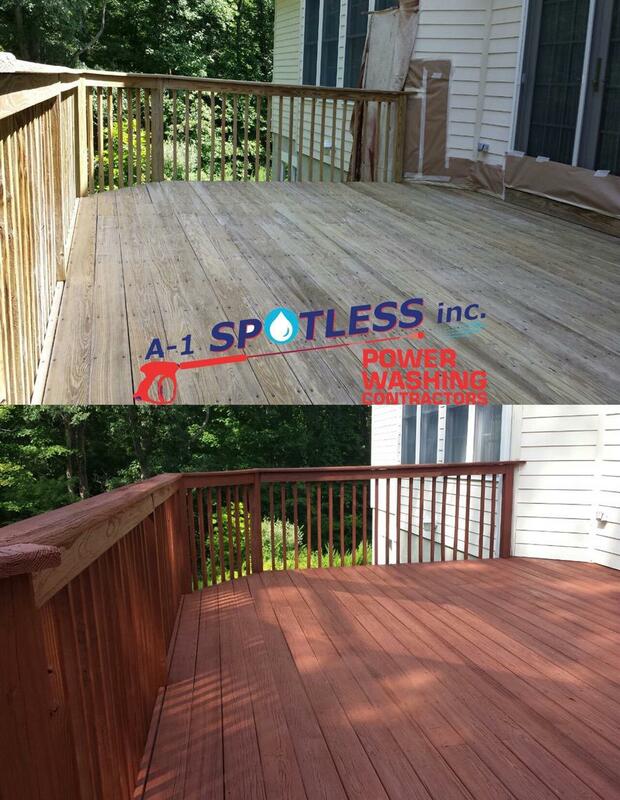 Get a free estimate for power washing a deck, or cleaning your roof, gutters, siding, brick, patio, driveway, sidewalk, etc. We can also help you with handyman services, painting and snow removal. No job is too small.